In small jar, mix all ingredients. Store covered. Seasoning blend makes about 1/2 cup. Store seasoning blend in covered container for up to 6 months. 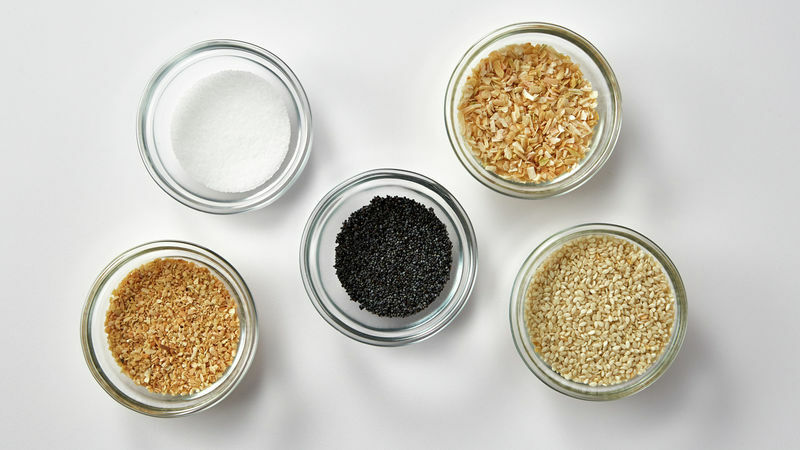 Black sesame seed may be partially substituted for some of the regular sesame seed in this blend. 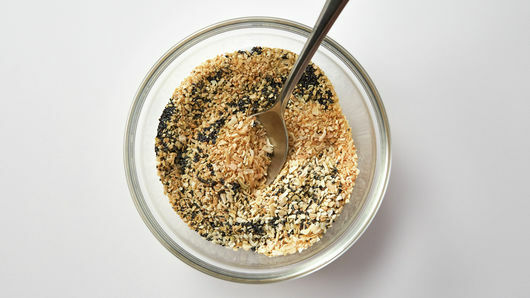 Sesame seed and poppy seed can go rancid after time. Make it a habit of buying fresh when you need them or store in freezer until you need them. Use seasoning blend on everything from scrambled eggs to cooked vegetables.